Last week, I attended the first edition of Startup Extreme festival, a technology and startups-focused event held in Voss, Norway. It was great - and here are some words but mostly photos to prove it. When you go to as many tech conferences as I do (25+ per year), you inevitably become a little jaded. Sure, it’s always a great way to meet entrepreneurs and investors you wouldn’t otherwise run into, and it’s always great to see existing and meet new friends. Other than that, a lot of it has become routine, particularly the travel aspect of it. Plus, a lot of the speakers at these conferences I’ve already heard (over and over), and a lot of the topics that get discussed in panels and workshops I’ve already learned pretty much every angle on. Every conference venue starts to look the same at this point, with the occasional exception (Pioneers, anyone?). The receptions, dinners and parties are great, but after a while they all become something of a blur. That’s not the fault of event organisers, to be clear, and I’m appreciative of the hard work many of them across Europe do to put the spotlight on their local startup ecosystems, to educate attendees and to inspire others to become entrepreneurs. It’s often a thankless job to organise these events, so I feel a little guilty when I say every one of them starts looking more than the other every passing year. But last week’s Startup Extreme festival in the mountains of Voss, Norway was something else entirely. It’s hard to capture in words how amazing this inaugural event was. Even calling it an event seems out of place; ‘experience’ hits much closer to home. The driven team making up Startup Norway, the private organisation behind it, really went to great lengths to make sure it was a memorable experience for everyone who came from all over the world to be a part of it. And it definitely played to its home country’s strengths – exceptional nature, friendly people, great food etc. Was it the fjord-kayaking, paragliding, wild river rafting, glacier skiing and other ‘extreme activities’ the Startup Extreme attendees were treated to? Was it the authentic meals (yes, including halved, torched sheep heads) they were served? Was it staying in lovely cabins up in the mountains with a spectacular view, often sharing the space with complete strangers who inevitably became friends? Was it the stupefyingly amazing train ride from Voss back to Oslo and its international airport? All of the above and more, though of course nothing’s ever perfect. 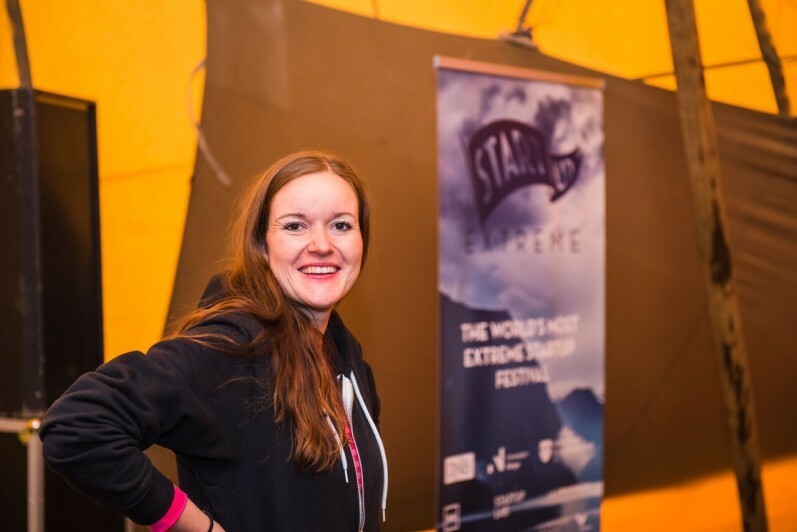 Startup Extreme could have put more focus on highlighting Norwegian startups, for example – I only met a handful local entrepreneurs (Kahoot and nLink spring to mind) and it was a missed opportunity on that level. And yes, it was sometimes a bit chaotic with last-minute instructions and information being sent at the last minute. And yes, some sessions on the final day of the conference were not very well-attended as most people preferred to (net)work outside with a rather spectacular view (see above). All of those points can be improved next year, of course, and for a first-time endeavour the above feels a lot like nitpicking. Overall, the Startup Extreme festival was an unforgettable experience in more ways than one. Thanks to Dan Taylor from Heisenberg Media for the amazing photos (as per usual). Dan also just published his take/photo essay on the event(s) in Norway, so make sure to have a look to see more pictures. Hope to attend the 2016 edition! And in the interest of full disclosure: Tech.eu was compensated by Startup Norway for my travel and accommodation expenses. Images credit: all (or at least all good) photos above Dan Taylor from Heisenberg Media.